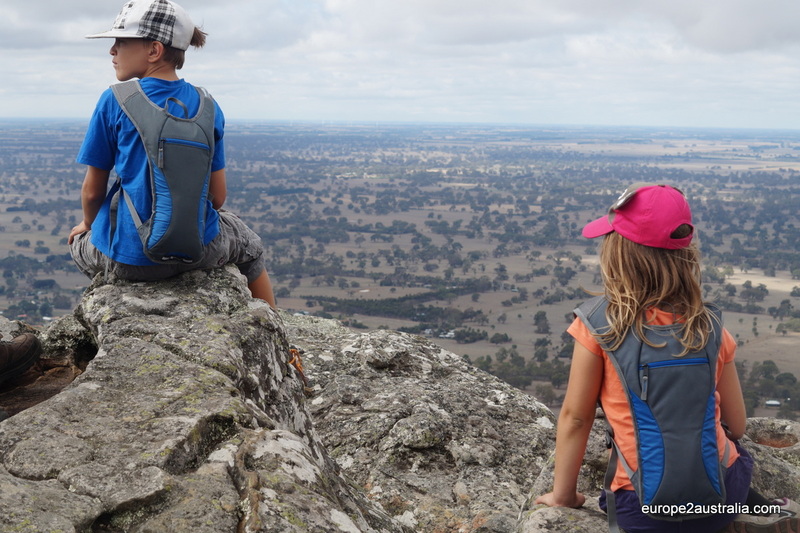 As the kids had a pupil-free day on Monday and we hadn’t been back in the Grampians in, like, almost a month and a half, it was high time that we went back to our favourite national park for some camping and some hiking. This time we went to the southern most tip, to hike up and down Mt. Sturgeon. We got going fairly early in the morning and arrived at the car park a little after 9:30h, only to find it full of cars already. To be fair, there are not that may spaces to begin with. We got our shoes on, backpacks loaded and off we went. Luka was all ready to go. She had made plans to not complain today, even though we would be going uphill for quite a bit. 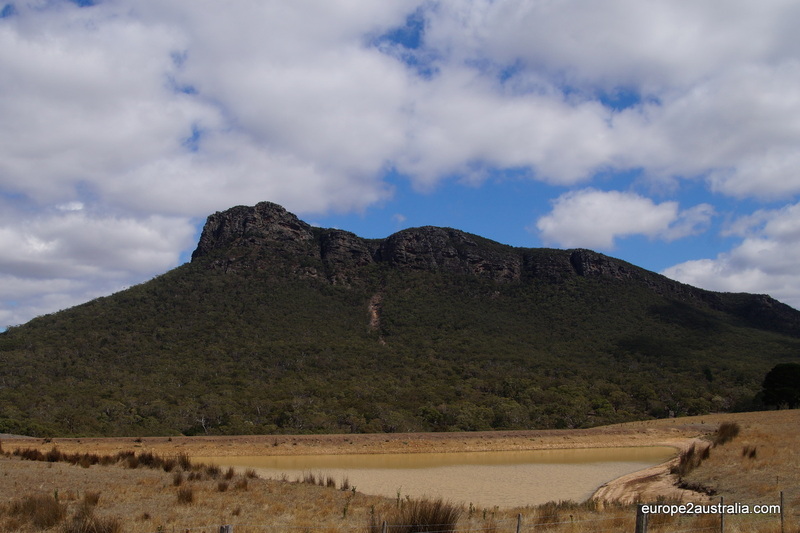 The distance from the car park to the peak is 3.5km, so a 7km round trip, with a height difference of about 350m. The first half of the hike is fairly flat on a sandy walkway. Our route, courtesy of strava.com. If you click on it you get more details. The forest is pretty dense throughout. 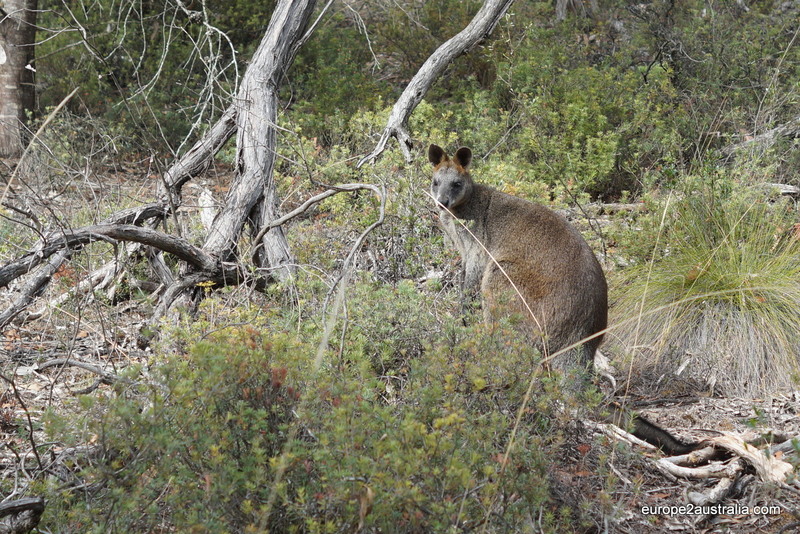 There are quite a number of Kangaroos in the Grampians. This one stopped to say hello. 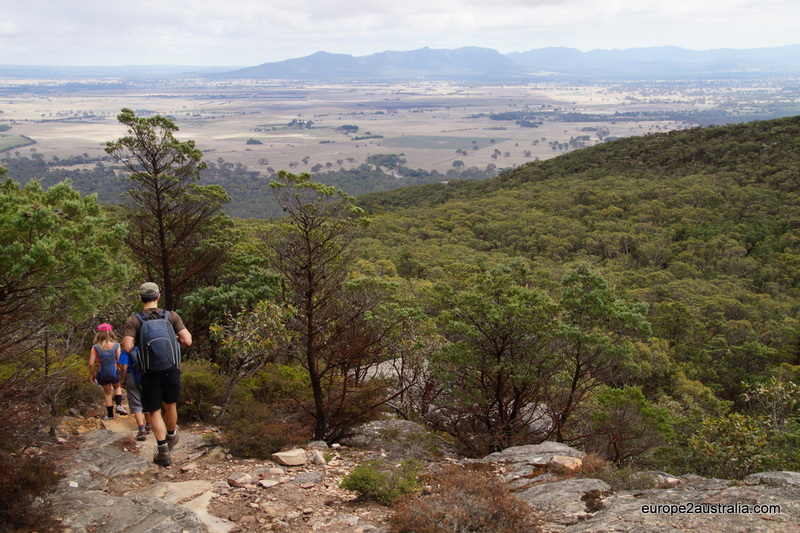 Once we were all warmed up, the path started to become rocky and quite steep in places. We were happy to be wearing out hiking shoes and having brought water and some food. But the views definitely make up for the climb. From the top you can see miles and miles in any direction. Luka reached her goal and made the entire hike without complaining once. 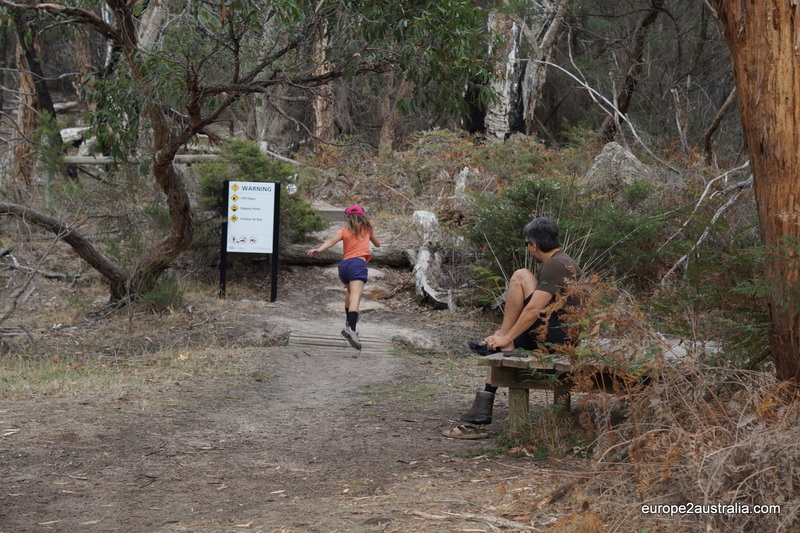 She was skipping and laughing on the way down and our two hikers had a so much fun, they frequently ran off ahead. They have really grown to love the rocky hills and mountains here in Australia. The hike first takes you along the bottom of the mountain, then turns and takes you up its ” back” . 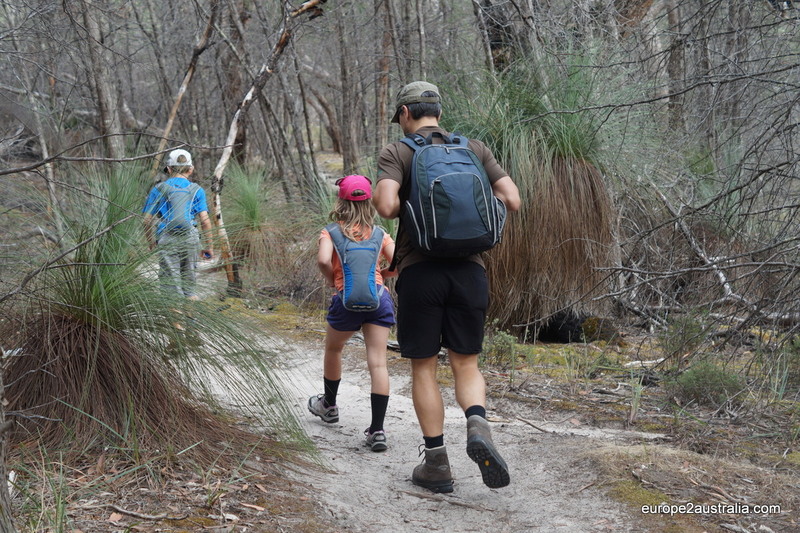 All in all, another one of those great hikes to do with the kids. We’ll be back for more! Wat mooi om te lezen dat Luka nu ook met jullie ‘wandelvirus’ besmet is! Maar met zulke uitzichten en vriendelijke dieren die jullie komen begroeten moet dat ook niet moeilijk zijn ..
How wonderful Oliver. 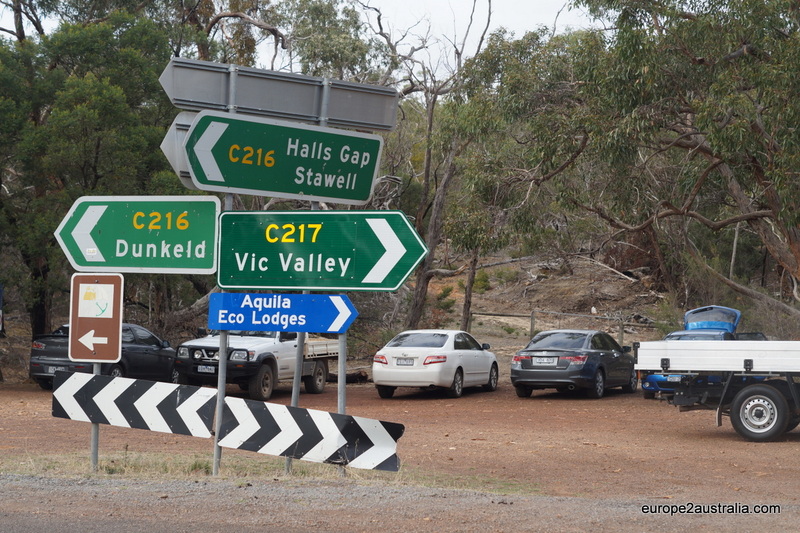 Looks like the family had an absolute ball, which is not hard to do in the Grampians. It’s one of our favorite places to visit in Victoria.